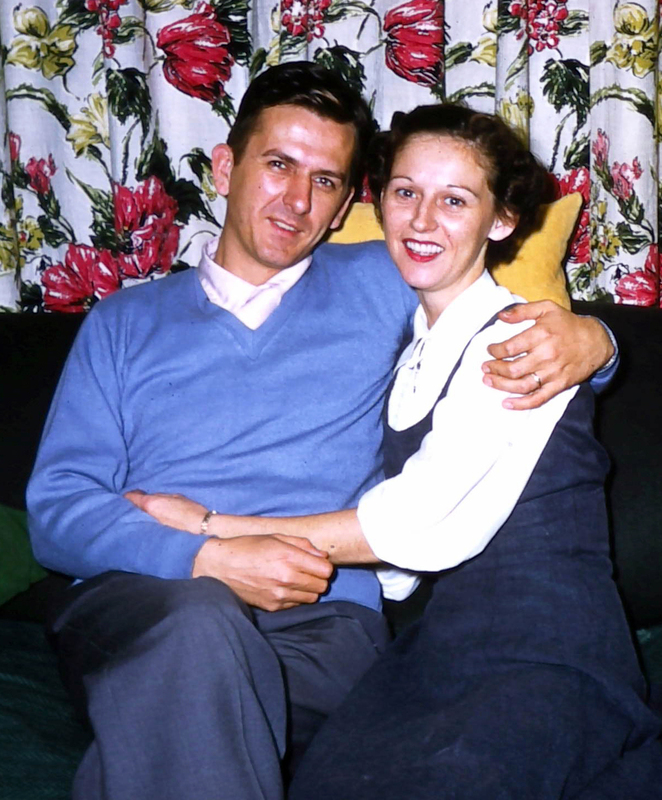 Meet Bea and Harold Olivant, my parents to be early in their marriage and about a decade before I came along. This picture was given to me after my mother passed away this past year and has ment so much to me over the past few months. One always has a vision of their parents as the grown ups in your life. To see them as a young couple clearly in love was a side I had not seen before. Their marriage would last almost 45 years before my fathers passing. I so wish I had the opportunity to have seen them at that age and how I wonder the dreams that they had when the road of life held so much before them. This entry was posted in 1950's, Bea Olivant, Harold Olivant. Thanks for your comment. I think most of us trace the family in North America back to the early/mid 1800’s (the earliest document I have for my family is 1849). While the name with this spelling is unique, there was a Facebook group founded buy an Olivant in the UK that had over 100 members a few years ago but it seems to have passed. As the only child of an only child I have never met a related Olivant other than my father or grandfather. Again, thanks for dropping by and leaving a few words.